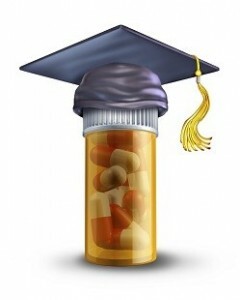 Almost one-fifth of college students say they abuse prescription stimulants, a new survey finds. The most commonly abused stimulants are medications used to treat attention deficit hyperactivity disorder (ADHD), such as Ritalin, Adderall and Vyvanse. One in seven young adults ages 18 to 25 who aren’t in college also say they abuse stimulant medications, HealthDay reports. The survey, sponsored by the Partnership for Drug-Free Kids, included more than 1,600 young adults who answered questions online. The researchers found young adults say they use prescription stimulants to help them stay awake, study or improve their performance at work or school.